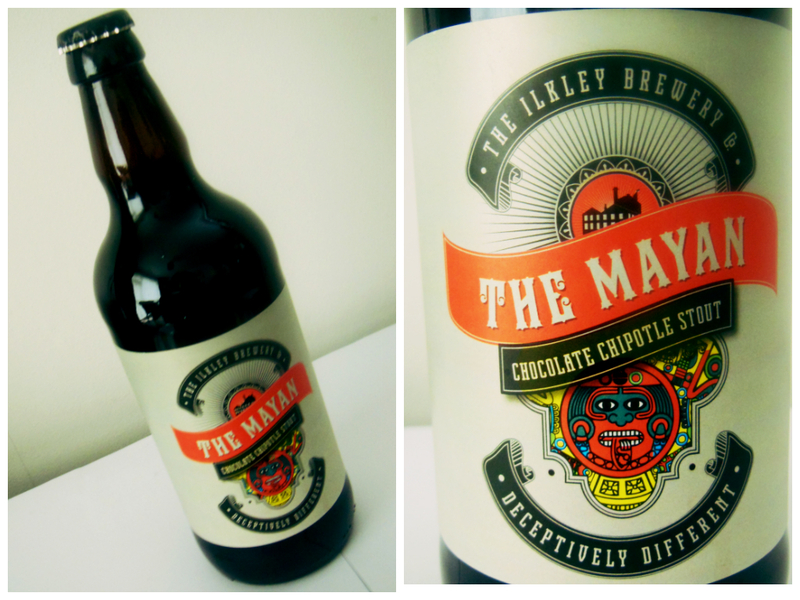 Brewed By: The Ilkley Brewery Co.
At the start of 2013 Ilkley Brewery took on the concept of a chili – chocolate stout, and The Mayan was born. This is a bold beer with massive flavours. The real chocolate hits you at first, like being pleasantly smacked around the face by a Cadbury bar, but that gives way to a smooth, malty, warm note. As with the rest of the Ilkley line-up, the label has been designed by illustrator and graphic artist Danny Pig who was brought in to re-design their labels and website as part of their big re-brand this year. The striking designs of bold colours and strong line work have seen the brewery double their sales, proving that a strong design concept is just as important to the success of a beer as the brew itself.